Today, with fewer than twenty-four hours left, my darling husband mentioned that the gorgeous Italian woman he’s seen on the set is Elisabetta Canalis, George Clooney’s current extraordinary squeeze. George Clooney is my age, give or take. I used to have a huge crush on him. He had a pet pig, remember? And he’s wry and gorgeous. And, he said he would never marry again because he wasn’t good at it, and I’m a romance writer, so that’s like telling a professional baker not to think about what she’d like to do with a couple pounds of Scharffenberger chocolate. I used to (very sorry, honey) fantasize that my husband would leave me or die young (really, really sorry, honey) and I would locate George. I’d show him my pig cookie jar, my pig mug set, my pig mini- soup tureen, and my Miss Piggy hot chocolate pot whereupon he would see how very much we had in common. Anyway, when my husband regaled me with his six degrees of separation from Mr. Clooney I thought: Hey! What if George shows up to accompany Elisabetta to the wrap party? Stranger things have happened, right? All of a sudden, I didn’t feel so good about my lifestyle choices. My hair is gray. I need new makeup. My clothes are an assault on the eyes. I wonder if it’s too late to change my stance on BOTOX? Ditching the Lady Bic Personal Shaver that has served me for fifteen years , I have decided to wax for George. 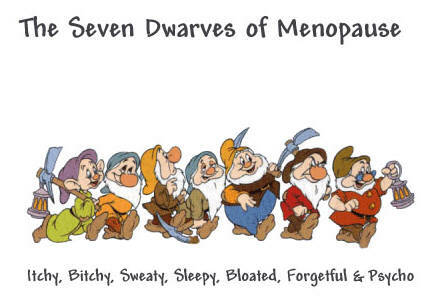 Still, I no longer feel I can go exactly as I am–all menopausal and mother-ish. I will report back to let you know how it goes. Even Mother H. has to admit that she would wax for George Clooney, which is really saying something for a chicken. However, since her only possible way of entry into celebrity parties is on a platter, such drastic measures will never be necessary (sigh). Enjoy your party, but for heaven’s sake stay away from the wings! They could be somebody’s mother! You’re hilarious, Mother Hen. Should you attend a celeb party on a platter, I feel certain you’d be the most delectable guest in attendance! Wendy…who has admittedly purchased “Instant Line Erasing” makeup for tonight’s soiree. Wen – too funny! Yes, I’d wax for GC, or even the off chance I *might* get to see him across the room, over the heads of all the other party goers. And I don’t even have a crush on him . You are beautiful and funny, and he’d be a fool to pass up the chance to compare pig-related items. If you need more, I bought hubby little glass pigs you can borrow. They’ll fit in your handbag … promise! And if GC touches them, I can sell ’em on e-Bay and make a mint, LOL!